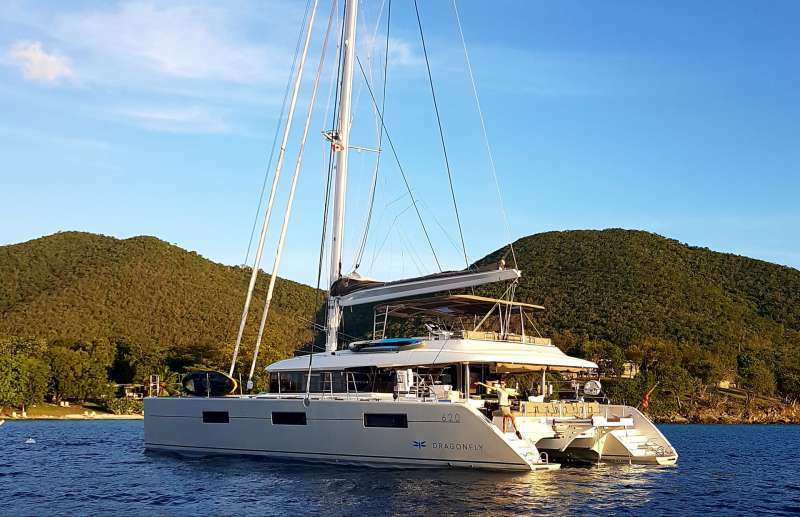 Catamaran Dragonfly is a 2019, 62’ Lagoon catamaran offering crewed yacht charters in the BVI and Bahamas. 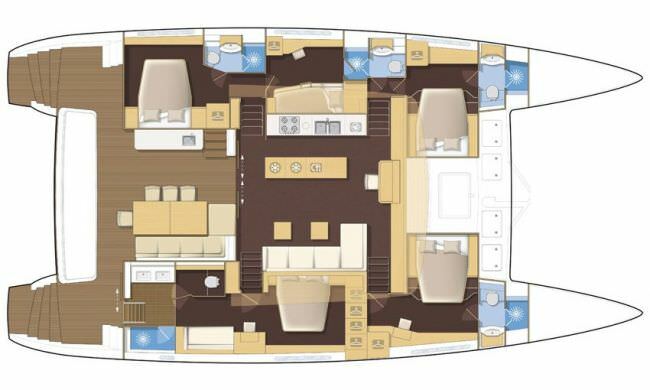 She features a fly-bridge deck and accommodations for up to 8 guests in 1 Master Queen Suite plus 3 Queen cabins. 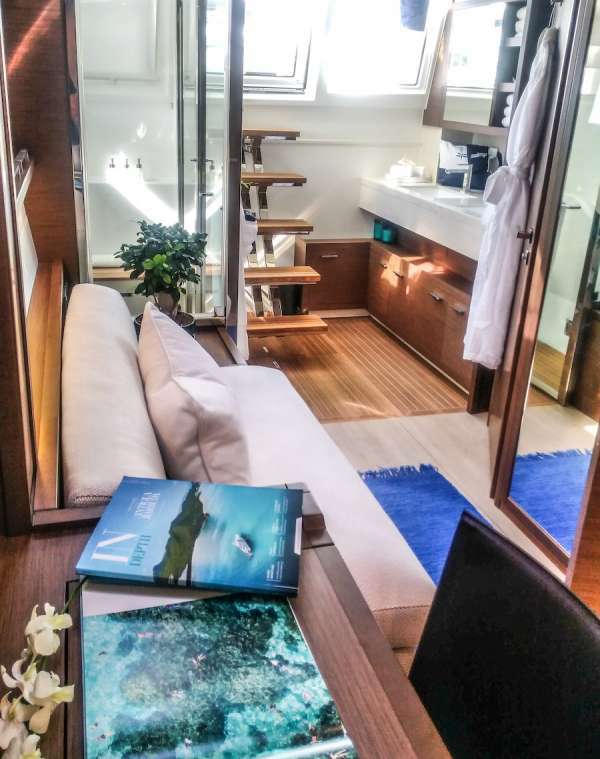 Catamaran Dragonfly is a Carefree Yacht Charters high-end, exclusive selection for families, couples or special occasions. 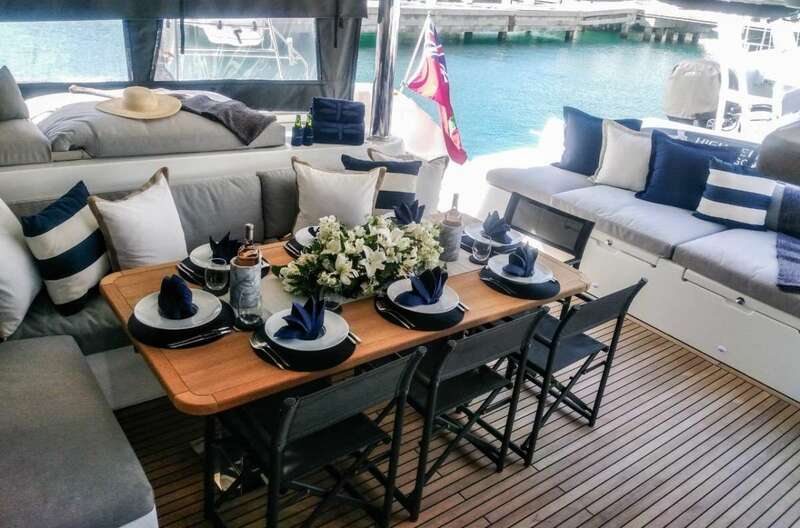 Here's what Christian & Hanrie told Carefree Yacht Charters about the fun factor on Dragonfly: "With Captain Christiaan around there is never a shortage of tall tales and interesting stories (as well as cocktails) to keep everyone laughing and entertained. Christiaan is a born entertainer and if he is not telling tall tales he loves taking guests wake boarding, cliff jumping or for a "dinghy sling". 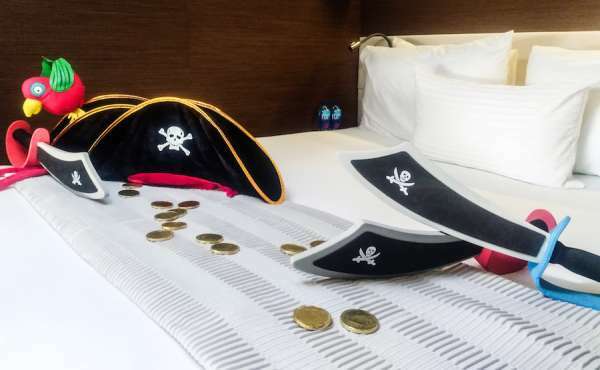 Hanrie loves making sure guests are entertained by hosting dress up nights and setting up beach picnics and getting the little ones involved in the galley by helping her decorate cupcakes and cookies. Christiaan and Hanrie are always up for a laugh and love to interact and get to know all their guests." 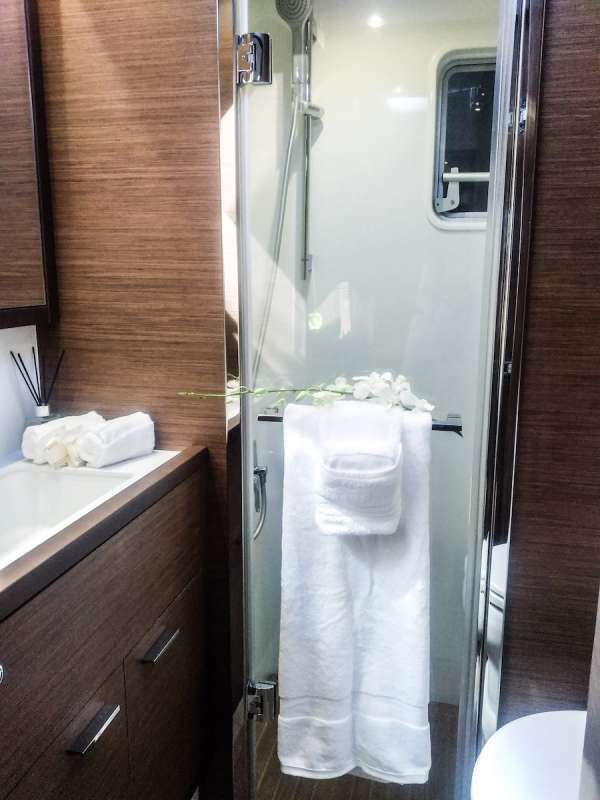 Rates from $32,000 to $36,000. View availability and rate details. 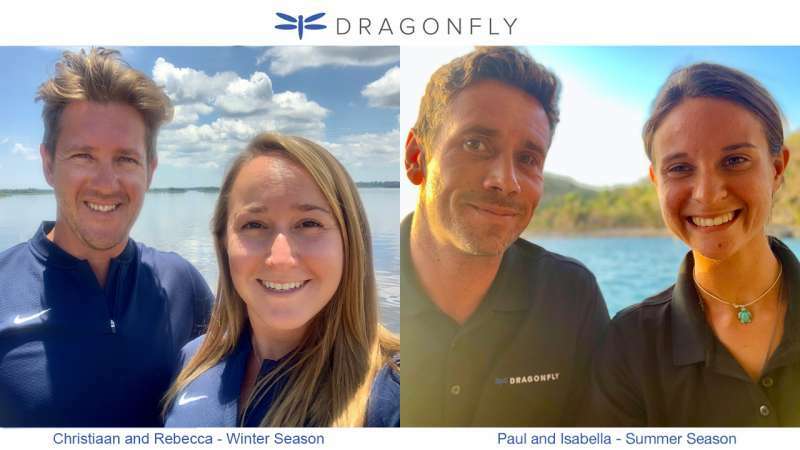 To learn more about this crew or for further details about DRAGONFLY, call us in our South Florida office at (954) 980-9281, toll free at (888) 670-6884 or fill out our Quick Request Form. 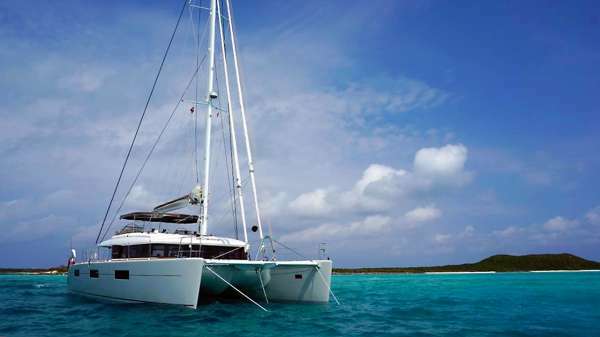 Xmas New Years: Up to 8 guests - US$39,600 for 7 nights aboard. 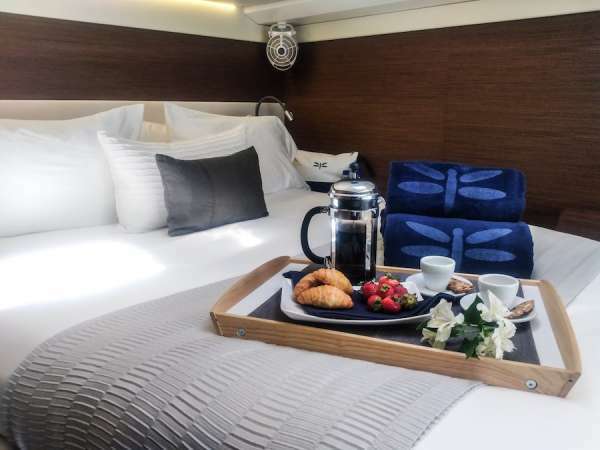 Caribbean terms = the charter fee is all inclusive except special requests (fine wines, champagne, specific alcoholic drinks, excessive alcoholic consumption), air fares, transfers - airport/yacht/airport, dockage fees if any, use of communication means available on board and crew gratuity are not included. Fuel included for 4 hours on engine per day. 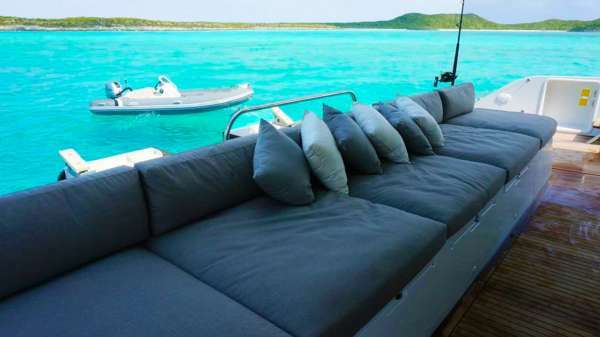 Taxes are NOT included for charters outside the US and British Virgin Islands. 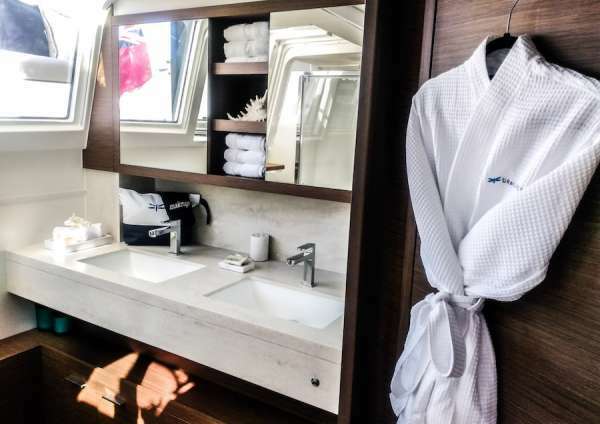 ___________________________ For the BAHAMAS - Summer 2019 Rates do NOT include bar beverages nor the 4% Bahamian tax. 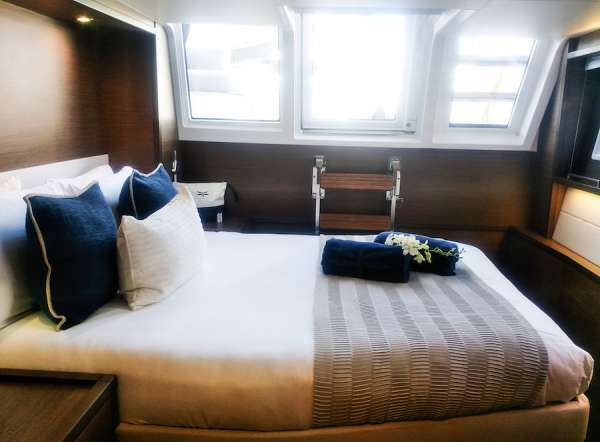 ___________________________ BVI / Eastern Caribbean for Winter 2018/2019 Bahamas for April, 2019 - late June, 2019 The Grenadines for July - October, 2019 Charters outside the Virgins: Regardless of whether or not a vessel may or may not include taxes in the vessel's listed charter fees for Virgin Islands charters, in general, no fees, port dues, nor taxes are included in the charter fee for any charter outside the Virgin Islands unless otherwise agreed. Captain: Christiaan Liebenberg: Christiaan hails from the coastal town of Jeffrey Bay in South Africa, where his passion for life on the water started at an early age. 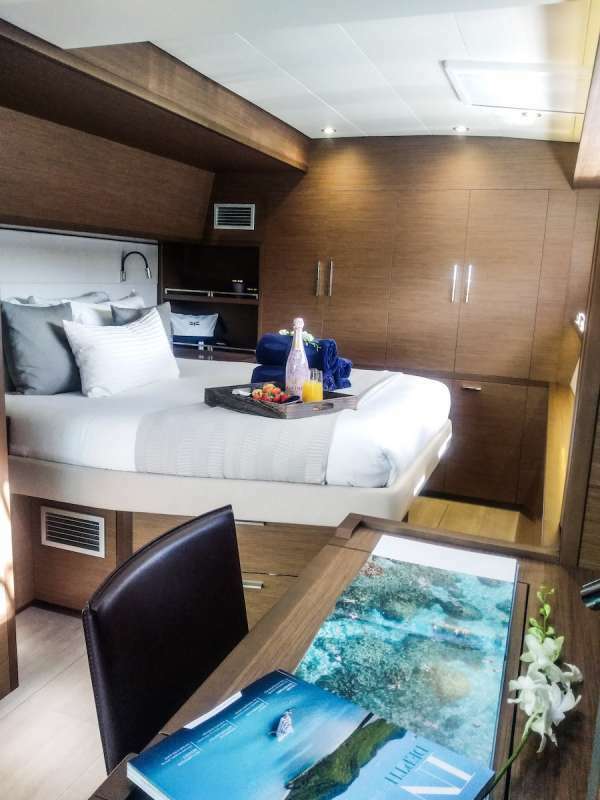 With a keen interest in travel, he has sailed in excess of 20,000 miles of ocean, including the Indian, Atlantic, Mediterranean and Caribbean Oceans, on yachts of varying sizes and designs. Christiaan's enthusiastic and professional understanding of the charter industry is second to none. 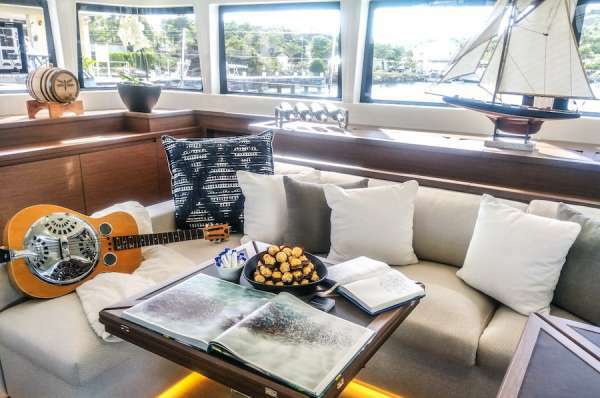 He has a cheerful personality, while still maintaining a high standard of service, safety and yacht maintenance. 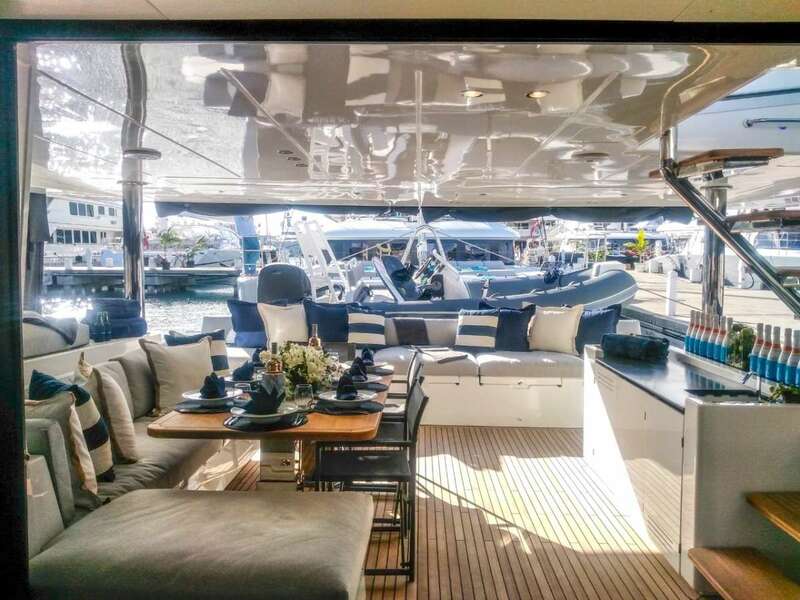 He holds his Yacht Master Offshore Commercially endorsed licence, Power Boat level 2 certificate, BVI Boat master certificate and PADI dive master amongst other accolades. In his spare time, Christiaan stays active enjoying many water sports while happily teaching others, playing the guitar and world travel. Chef: Hanrie Bosch: Hanrie was brought up in a small town in the mountains of South Africa, where her dreams of travel began. After finishing her degree in photography and journalism, she set out to explore the world and lived in Bangkok for a few years, travelled Asia, and fell in love with the sights, smells and of course the food. After 2 years she returned to her home town, all the while, the draw of creative cuisine continued to beckon. She spent her free time making the most of her father's restaurant kitchen, preparing innovative dishes and exciting cuisines, based on her travels. 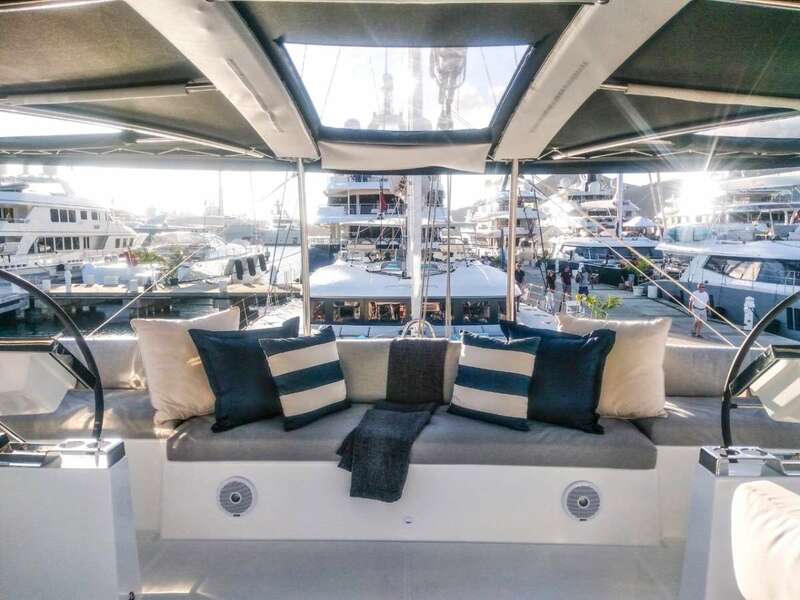 Hanrie was enticed to move back to the ocean by Christiaan a short while later, she spent a year and half on a super yacht in the USA, gaining invaluable knowledge of the luxury market. In 2014, Hanrie joined Christiaan where they embarked on a career together and never looked back. She has a passion for cooking a diverse and interesting array of food, taking care to match dishes to each group's specific needs and desires, from traditional South African dishes, Caribbean favourites, Thai, French and everything in between. You will be sure to leave satisfied. 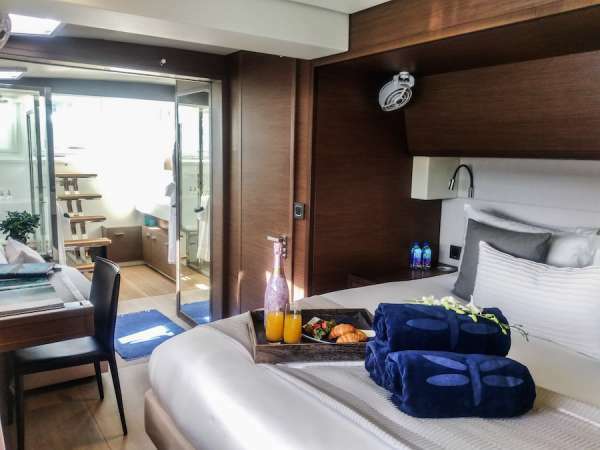 - our group had never booked a yacht charter before and we really benefited from the advice and guidance of Lynne at Carefree Charters. 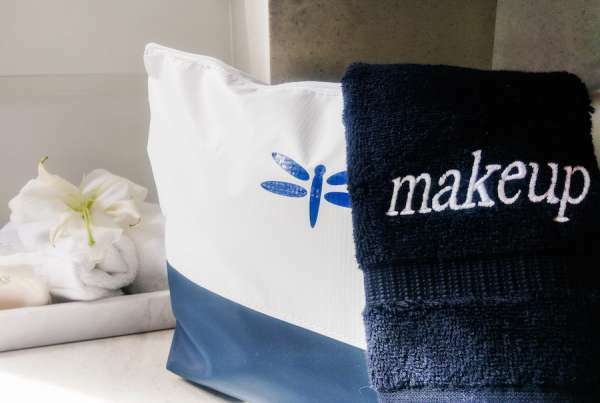 The suggestions regarding travel, activities, food and drink were all excellent and removed the worry of this first time (but not last time) experience. 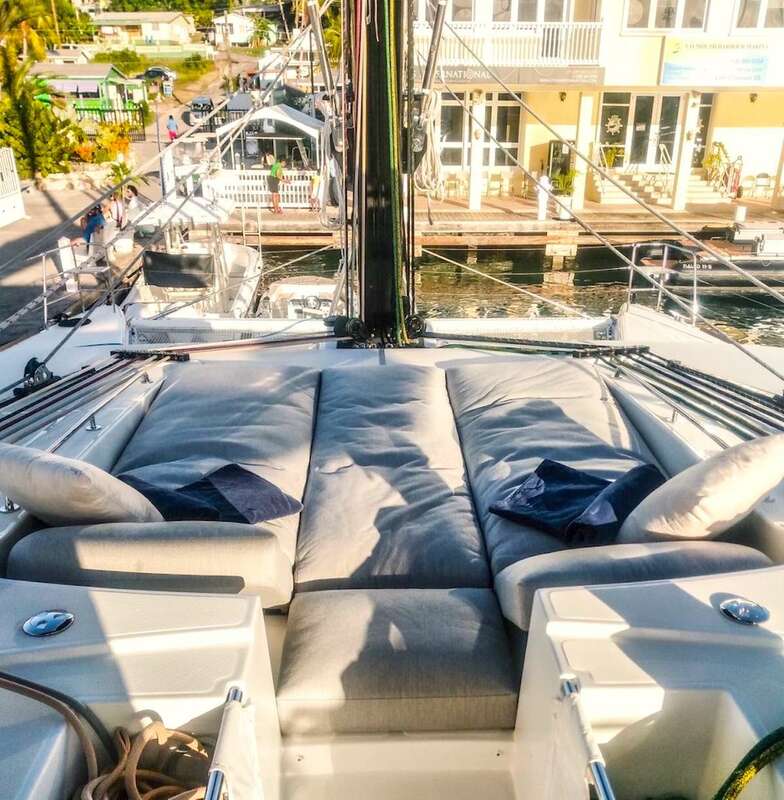 - when it came time to selecting our boat, we had it narrowed down to 3 or 4 boats but found it hard to chose. Lynne suggesting reading the bios of the respective crews and that turned out to be fantastic advice. We had a great boat but more importantly the crew was incredible. - Christian and Hanri on Yes Dear are perfect hosts. They have great experience in the islands and are happy to share their knowledge. Christian is an accomplished captain and we all felt safe under his leadership. Hanri is a maestro in the kitchen and we had 3 meals a day worthy of the best fine dining restaurants. They are fun, funny, professional and talented - 10 out of 10 for the crew. 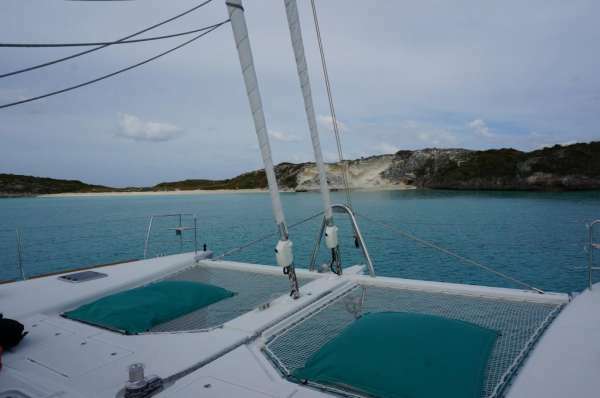 - great range of activities: snorkeling, hiking, paddle boarding, and of course bar hopping.